Born in 1782 Oberpolitz (now part of the Czech Republic), Julius Vincenz von Krombholz studied medicine at the University of Prague, receiving a doctorate in 1814. Continuing his work at the university, Krombholz was appointed professor of special pathology and therapy in 1828, and in 1831 he became rector of the university. When he was not working to advance his medical career, von Krombholz pursued his other big passion, which was mycology. 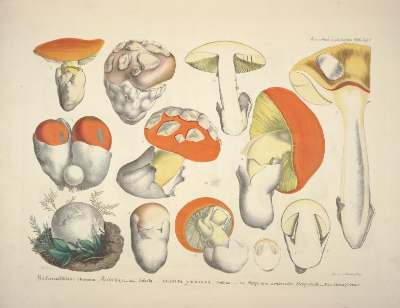 He took a particular interest in the tovicity of various toadstools, and published several significant works on the subject. The abbreviation Krombh. 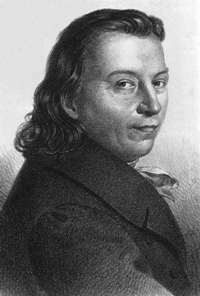 is used to indicate Julius Vincenz von Krombholz as the author when citing a mycological species name. Julius von Krombholz died before finishing this work, and it was completed by Johann Baptist Zobel (1812-1865) and published after von Krombholz' death.